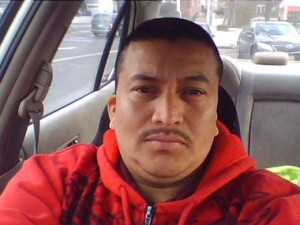 ELIZABETH, N.J.– A former Plainfield resident who fled to Honduras in June 2012 shortly after it was discovered that he had impregnated a 13-year-old girl, was arrested last night in Texas after he attempted to renter the country, announced Prosecutor Theodore J. Romankow. Israel Romero DOB: 6/5/1973 was arrested last night as he tried to cross into Texas from Mexico, said Romankow. Authorities believe he had been in Honduras since fleeing the country in June 2012 after it was revealed that he had sexually assaulted a female victim first when the girl was 12-years-old and then again after she turned 13-years-old. The assaults took place at his home and were discovered after the victim disclosed the attacks to a family member. Police were notified and an investigation was launched. Officers discovered that Romero was missing when they went to make an arrest. Detective Patricia Gusmano of the Union County Prosecutor’s Office Special Victims Unit tracked Romero to a village in Honduras and worked with the US Marshals Service to monitor his movements, which led to his arrest as he attempted to return to the country.